SCVHistory.com LW3384 | Letter from William S. Hart to Amelia Earhart re: Circumnavigational Flight, 2-24-1937. 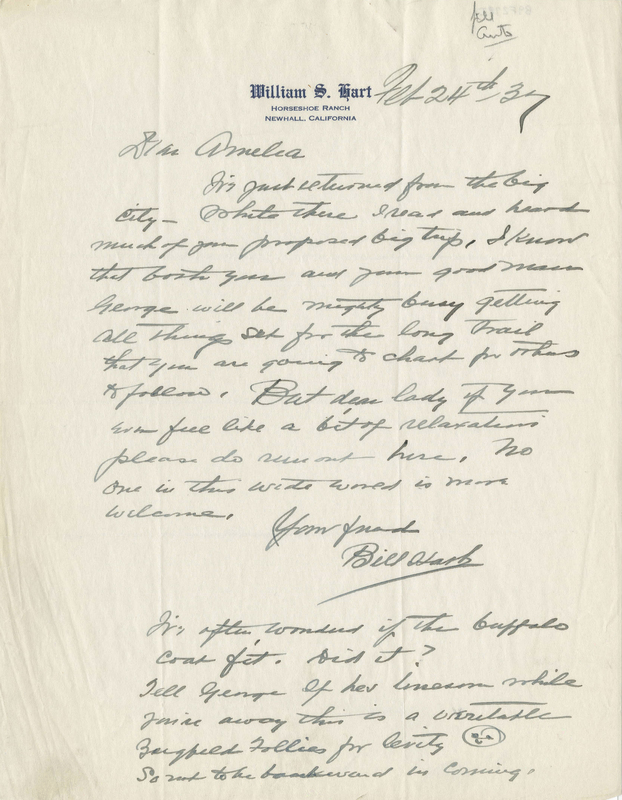 Letter from William S. Hart to Amelia Earhart. Regarding Circumnaviational Flight of the Globe; P.S. : Buffalo Coat. Horseshoe Ranch, Newhall, California | February 24, 1937. Letter from William S. Hart to Amelia Earhart dated February 24, 1937, just prior to her first attempted circumnavigational flight of the globe in March — which attempt was aborted in Hawaii when her plane was damanged on takeoff. It was her second attempt in June-July when she went missing. 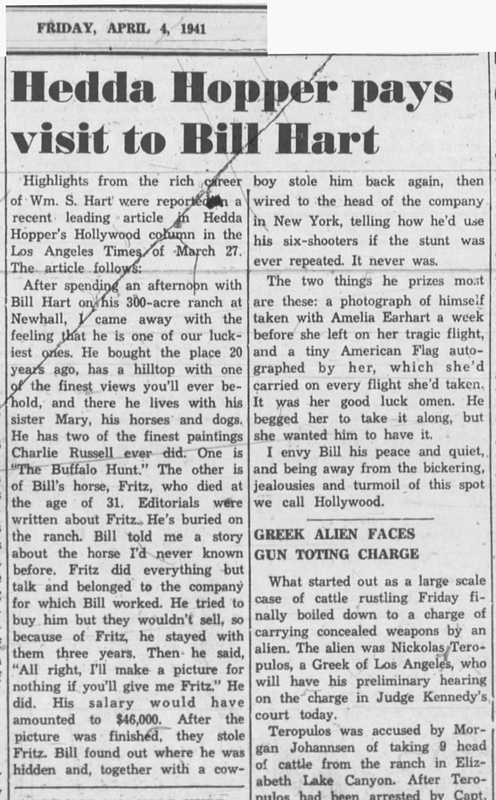 In the letter, Hart invites the aviatrix and her husband, publisher George Putnam, to his ranch, and he asks whether she liked the buffalo coat he sent her in 1936. Original letter in the George Palmer Putnam Collection of Amelia Earhart Papers at Purdue University, where Earhart had been on faculty. I've just returned from the big city — While there I read and heard much of your proposed big trip. I know that both you and your good man George will be mighty busy getting all things set for the long trail that you are going to chart for others to follow. But dear lady if you ever feel like a bit of relaxation please do run out here. No one in this wide world is more welcome. I've often wondered if the buffalo coat fit. Did it? So not to be backward [sic: awkward?] in coming. It's unknown whether Earhart ever wore the coat. Earhart and Putnam had been staying on a friend's ranch in Wyoming; prior to her ill-fated transatlantic flight in 1937, Earhart gave some of her possessions, including the coat, to the rancher for safekeeping. 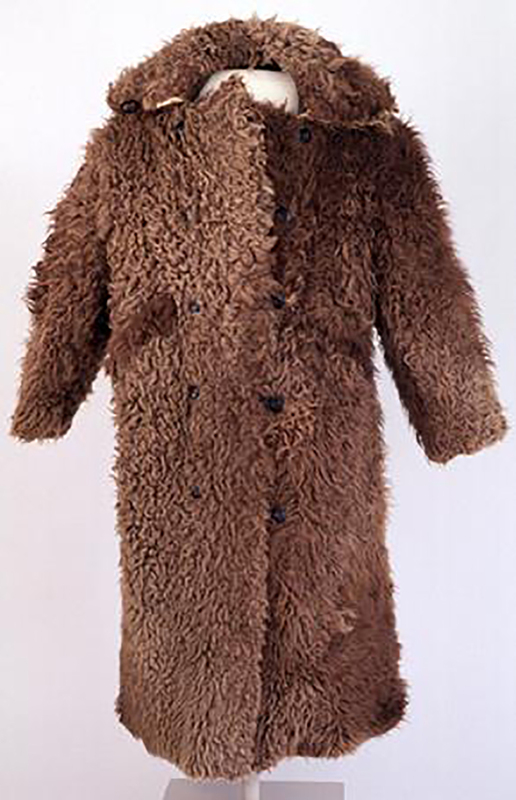 Thirty years later, the rancher donated the coat to the Buffalo Bill Historical Center (now Buffalo Bill Center of the West) in Cody, Wyoming, where it remains today (2018). We do know George Putnam eventually made good on Hart's invitation to visit him.